French shipbuilder DCNS was asked to beef up its security after the leak of top-secret documents. A senior Australian defense official asked French shipbuilder Direction des Constructions Navales Services (DCNS) to step up security after the leak of documents detailing the top-secret combat capabilities of the Indian Navy’s Scorpene-class (Kalvari-class) diesel-electric attack submarine (See: “Top Secret Data on India’s New Stealth Submarine Revealed”). The defense official, acting on behalf of Australia’s Defense Industry Minister Christopher Pyne, also conveyed the government’s deep concern over the implications of the leaks for the Royal Australian Navy’s (RAN) so-called SEA 1000 Future Submarine Program, according to Reuters. DCNS is engaged in exclusive negotiations over the construction of 12 Shortfin Barracuda Block 1A subs, a diesel-electric derivative of DCNS’ Barracuda-class nuclear attack submarine, for the RAN. Australian Prime Minister Malcolm Turnbull announced in April that DCNS has won the competitive evaluation process for the design and construction of the RAN’s next-generation submarines. The estimated cost for Australia’s new fleet of submarines is A$50 billion ($38.13 billion)—the country’s largest defense deal in history. The leak comes at a critical time when Australia and France are working on the details of the deal including construction schedules and technology transfer agreements. DCNS said earlier in the week that the leak could have been executed by one of the two frustrated competitors in the bid, Mitsubishi Heavy Industries (MHI)/ Kawasaki Shipbuilding Corporation (KSC), and the German company ThyssenKrupp AG (TKMS). DCNS accused its competitors of economic warfare. “Clearly there’s been a massive leak. And for the French to seek to blame either the Japanese or the Germans under some banner of ‘economic warfare’ is hysterical,” a senior industry source told Reuters. 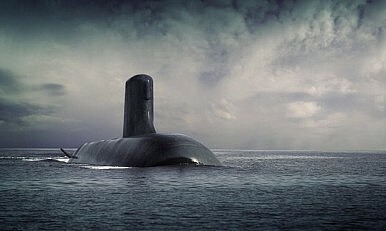 The Australian Department of Defense also told DCNS that it expects the same level of security as U.S. defense contractors are providing for information on Australia’s submarines given that the RAN’s Collins-class subs are fitted with a U.S.-made combat system. DCNS Australia announced on August 26 that it will establish an operational Security Committee by the end of 2016. “This committee is part of the arrangements that deliver sovereignty to Australia in submarine matters and will govern the measures that DCNS develops to deliver the Australian Government’s stringent security requirements for the Future Submarine Program,” said Sean Costello, chief executive officer, DCNS Australia. DCNS has been assembling India’s new class of attack submarines in cooperation with the state-run Mazgaon Docks Limited (MDL) in Mumbai for the past decade. “The 22,400 pages leak includes highly classified documents marked ‘Restricted Scorpene India’ outlining the Scorpene-class sub’s diving depths, range, and endurance, magnetic, electromagnetic and infrared data, and details of the submarine’s combat system, including the torpedo launch system,” I explained elsewhere. Leaked documents reveal sensitive details of the missile likely to be deployed on the Indian Navy’s new submarine class.